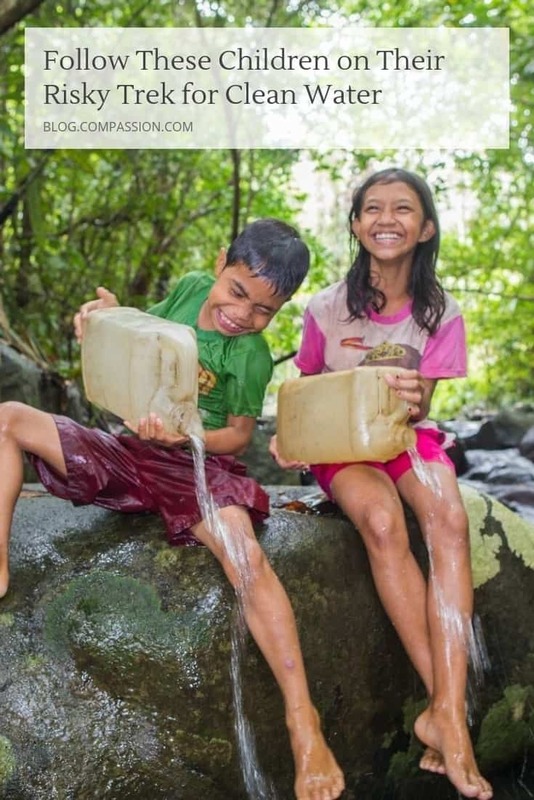 Children living in poverty around the world get clean water in all kinds of ways. Some are blessed enough to have pipes deliver water directly to their home. Other children walk to an improved water source like a community tap or well to fill up their jerry cans with clean water. 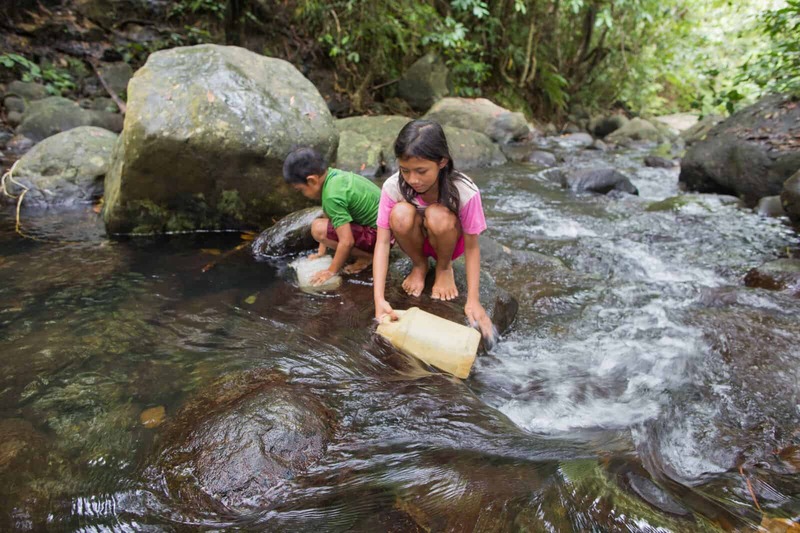 But some children — especially those who live in more remote and rural areas — face quite an adventure to gather their daily water. This is Arnold and Stevi from rural Indonesia. We invite you along with them on their daily trek for water. Welcome to Stevi and Arnold’s home! They live on Sangihe Island in eastern Indonesia. 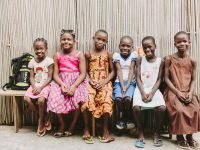 If you wanted to travel to their island from Compassion’s headquarters in Colorado, it would take five flights and three days! 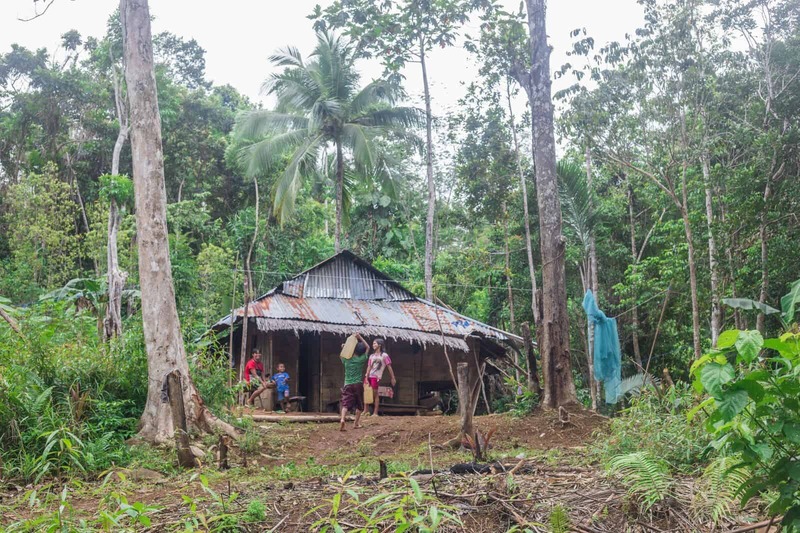 Their house is typical of homes in their community, where most parents make a living fishing or as field hands. 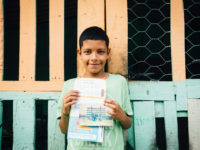 “I would like my sponsor to join me in gathering water from the river,” Stevi says. 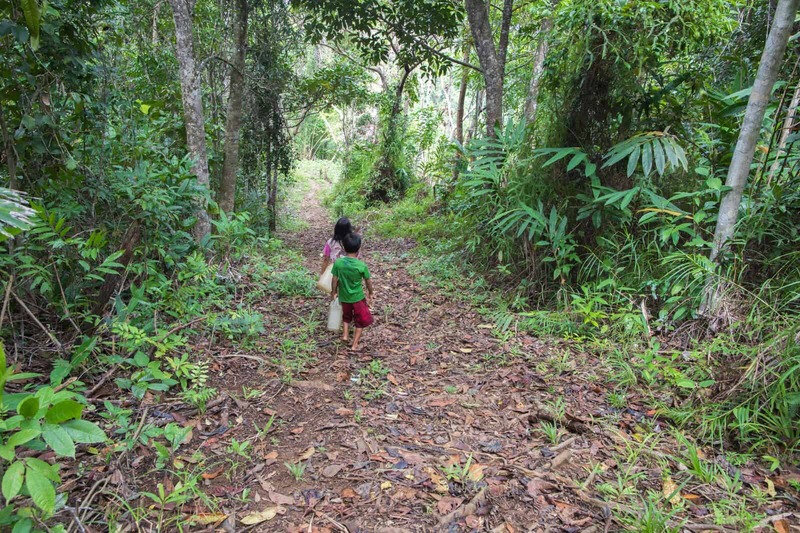 Eleven-year-old Stevi and her 10-year-old brother, Arnold, head into the woods near their home to start their trek. 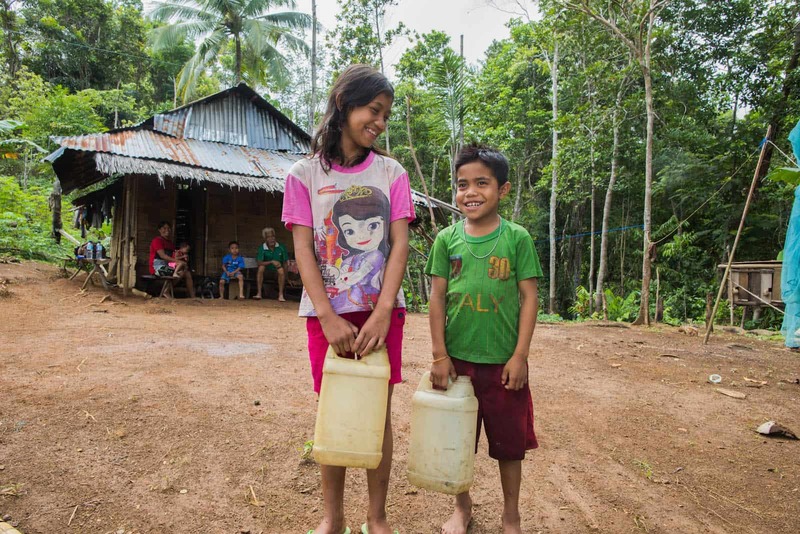 Sending your kids into the forest alone on a long journey might seem extreme to many American families, but nine out of 10 families in rural Indonesia don’t have clean water piped to their homes. Often children are the ones tasked with gathering the family’s water. In the rainy season, Stevi and Arnold’s journey becomes much more treacherous when the hillsides become slippery and muddy. And there are no hiking boots here — they do it in flip flops or barefoot, carrying their jerry cans on their shoulders much of the time. Millions of children around the world take a similar walk each day, often going a mile or more. Whew — they’ve made it! In this rocky river is a spring where Stevi and Arnold fill up their 5-liter jerry cans. Those heavy containers will make the journey back home much more strenuous! But they might take a quick dip in the water before they go home. “If my sponsor ever comes to visit me, I would like to invite my sponsor to swim with me in the river,” Arnold says. Arnold and Stevi aren’t the only ones with a tricky path to gather water. Their friends Meilita, Afriano and Meikel also take quite a journey to get to the spring. 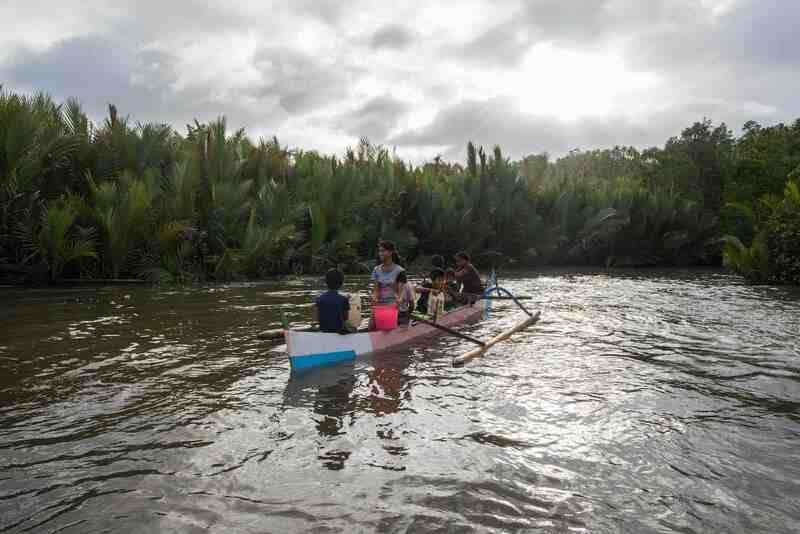 They have to travel over a wide estuary by boat to get to clean water. If there’s not a boat, they have to wade through the river — carrying their jerry cans over their heads! Sometimes the water the children gather is not always clean. In the rainy season, the water becomes muddy. During these times, the water is much more dangerous to drink, and it sometimes makes them sick. Once the kids are back home, they can spend some time with family, eat dinner and do their homework before bed. Tomorrow, they’ll have to make their journey for water all over again. Thank you for joining Stevi and Arnold on their journey. But can you imagine doing that every day? 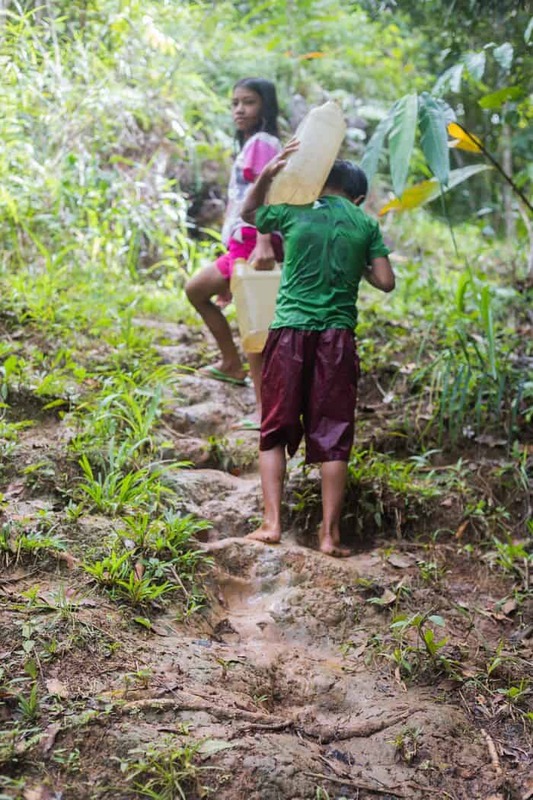 This lack of access to clean water isn’t just an inconvenience. It’s a tragedy. Today, 800 children will die from drinking unsafe water. But kids don’t have to keep dying like this. It’s a solvable problem, through infrastructure like wells, rainwater harvesting systems, sanitary toilets and filtration. 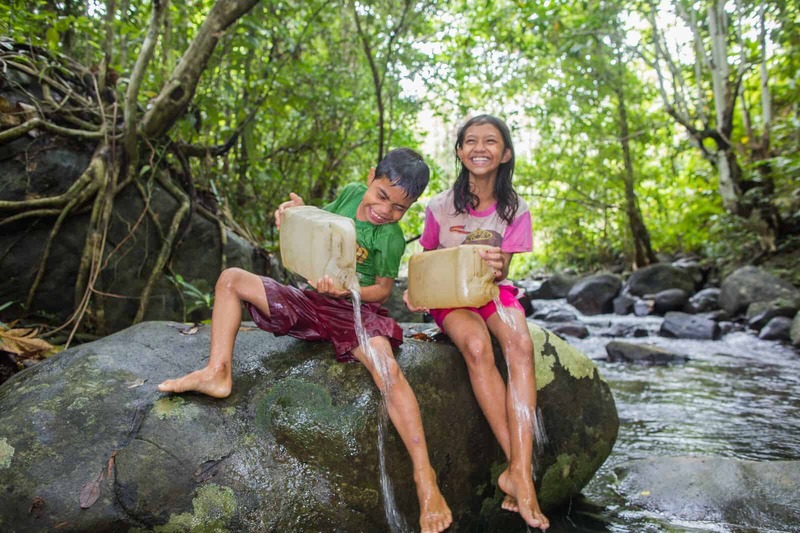 Will you help children like Stevi and Arnold get clean water? Vera is a photojournalist for Compassion Indonesia.